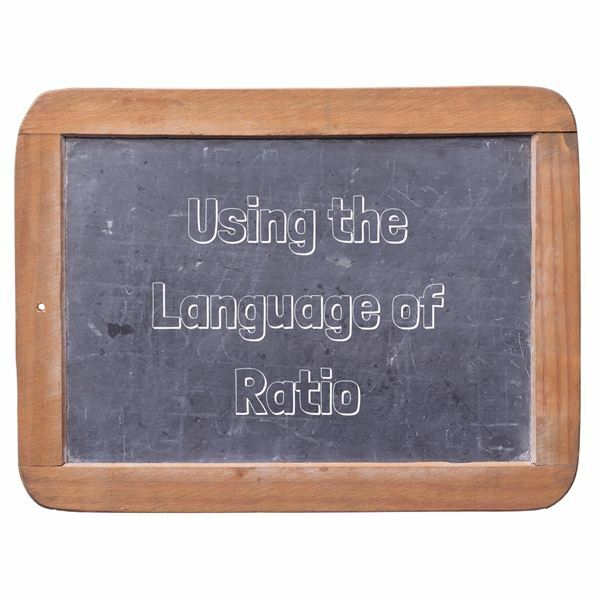 The lesson is aligned to the Common Core State Standards for Mathematics – 6.RP.1 Ratios and Proportional Relationships – Understand the concept of a ratio and use ratio language to describe a ratio relationship between two quantities. Place 3 red blocks on your desk. Place 6 blue blocks on your desk. The ratio of red blocks to blue blocks is 1 : 2, because for every 1 red block on your desk there are 2 blue blocks. 1. Show the ratio of 5 red blocks to 2 blue blocks. 2. Write a description and an explanation for the ratio of 5 red blocks to 2 blue blocks. 3. There are 4 red blocks and 12 blue blocks. Write a description and an explanation for this ratio. 4. Write a ratio of red blocks to blue blocks for the following description of a ratio. For every 3 red blocks there are 4 blue blocks. For every 5 red blocks, students should put 2 blue blocks on their desk. Students could put 10 red blocks and 4 blue blocks on their desk. The ratio of red blocks to blue blocks is 5:2, because for every 5 red blocks on my desk there are 2 blue blocks. The ratio of red blocks to blue blocks is 1:3, because for every 1 red block there are 3 blue blocks. Use numbers and ratio language to describe and explain a ratio relationship between the two quantities. One bicycle seat to two bicycle wheels. In the farmyard, Jack saw cows. He saw four legs for every tail. For every car, there are 3 passengers. In the school election, for every 3 votes Emily received, Rose received 2 votes. On the farm, there are 8 wheels for every 1 truck. Use numbers to write a ratio for each description of a ratio relationship between the two quantities. Three tricycle wheels to one tricycle seat. In the farmyard, Oliver saw chickens. He saw two legs for every beak. There are 8 passengers and 2 cars. In the school election, for every 5 votes Jasper received, Nick received 4 votes. On the farm, there are 4 wheels for each tractor. The ratio of 1 bicycle seat to 2 bicycle wheels is 1:2, because for every 1 bicycle seat there are 2 bicycle wheels. The ratio of 4 legs to 1 tail in the farmyard is 4:1, because for every 4 legs there is 1 tail. The ratio of 1 car to 3 passengers is 1:3, because for every 1 car there are 3 passengers. The ratio of 3 votes to 2 votes in the school election is 3:2, because for every 3 votes Emily received, Rose received 2 votes. The ratio of 8 wheels to 1 truck is 8:1, because there are 8 wheels for every 1 truck. Students should be able to use numbers, symbols and language to describe the relationship of the ratio between two quantities.